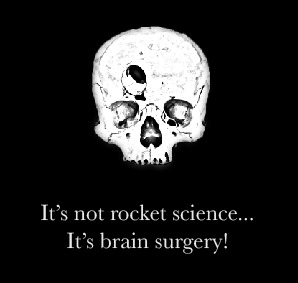 It's Not Rocket Science, It's Brain Surgery! Black t-shirt with trephining illustration on back and IMSS logo on front. Unisex t-shirt available in S,M,L,XL,2XL. 100% cotton.